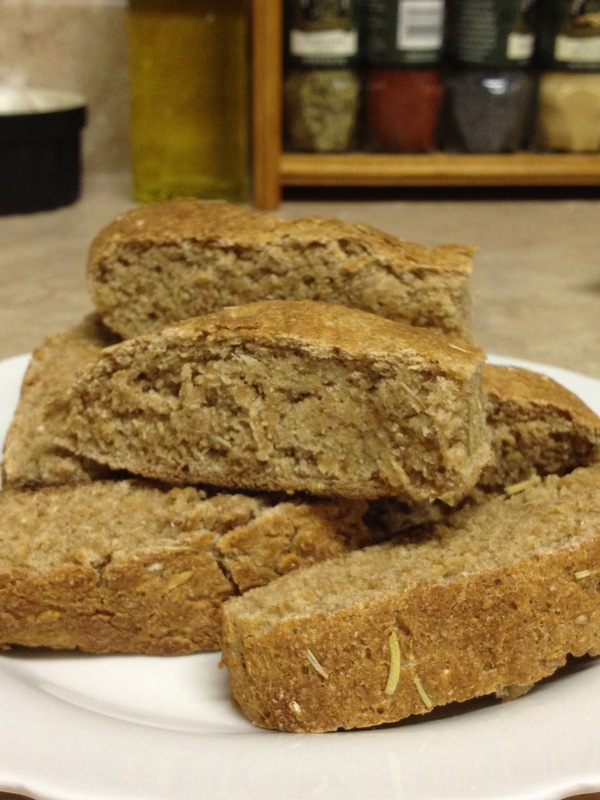 I have very fond memories of waking up most mornings, when I was in elementary school, to the smell of freshly baked bread (thanks mom, you are literally the best!). My favorite thing in the world was to eat a slice of warm bread with some butter and honey drizzled over it (not super healthy, but goodness was it tasty). Despite growing up with a talented baker in the family, I had never made bread before this past March. Although I had seen my mom make it countless times, I was not quite ready to take on the challenge of a recipe that was anything other than relatively basic (baby steps, right?). Therefore, for my first time, I chose to healthily adapt this recipe from bakingdom.com. 1. Combine all of the dry ingredients into one bowl. 2. In a separate bowl, combine the wet ingredients and when ready, slowly drizzle the water mixture into the flour mixture while you mix the dough. I used a standing mixer and had no problem, but if you have a kitchenaid mixer (lucky duck!! ), use the bread hooks attachment and mix the dough that way. 3. Mix just until everything is incorporated (the dough is pretty gooey at this point). 4. Now cover the bowl-o-dough in plastic wrap and allow the dough to sit for 15 minutes. Once the 15 minutes are up, knead the dough for 10 minutes. If the dough does not become “less sticky” after a few minutes of kneading, add about 1 tablespoon of flour at a time until the dough does not adhere quite so much to your hands. 5. Form the dough into a smooth ball and place in a clean bowl that has been lightly coated with olive oil. Cover the bowl again and allow the dough to rise for 1 hour. 6. Once the dough has doubled in size, place on a clean, floured, flat surface. Gently flatten the dough into a large disk. 7. Place parchment paper on a baking sheet and place the dough “disk” in the center of the baking sheet. Turn the oven on to 500°F and place the baking sheet with the dough in the oven while it preheats. Let it bake for 8 minutes and then reduce the heat to 400°F. Bake for another 2-3 minutes, but check to make sure the outside of the bread does not get too crispy or burn. I was on the brink of slightly burning the bottom of my bread, but checked on it just in time. 8. Remove from the oven and allow to cool completely. 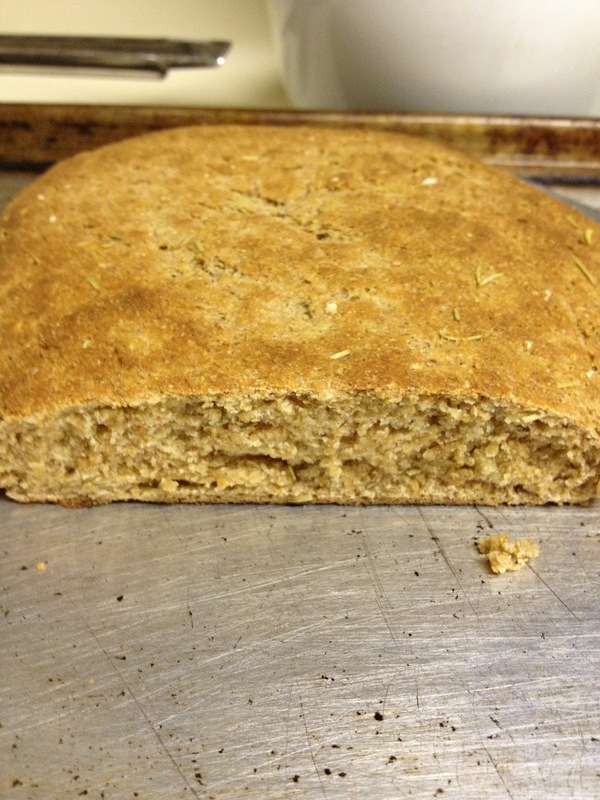 Now you’re ready to enjoy some homemade bread. 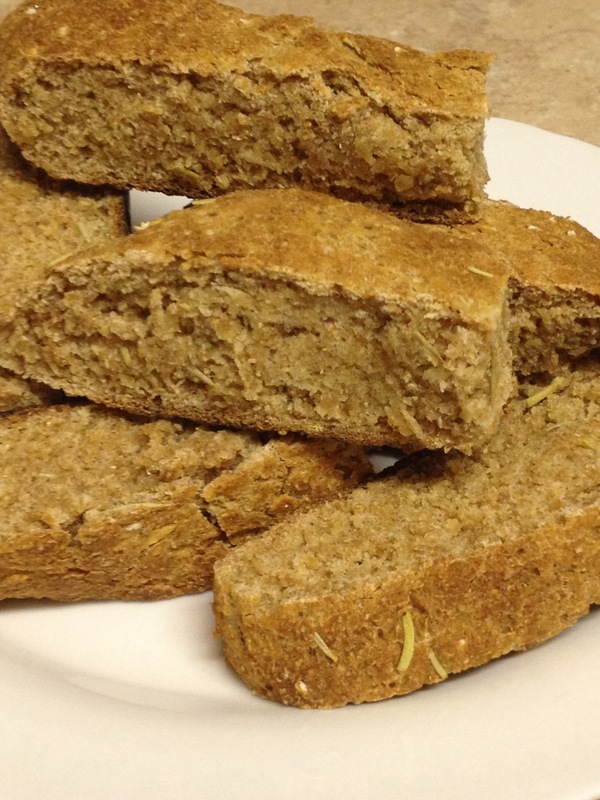 This bread is wonderful because the outside is crunchy but the inside is light and fluffy. It is great for a cheese plate, toasted for bruschetta, or just covered with some awesome preserve (I love fig butter on it! ).